The hot spring is located in the area Toyabungkah, Batur village, Bangli Regency . Based on its name, Toyobungkah literally comes from the word “Toya” meaning water and “lumps” which means rocks. 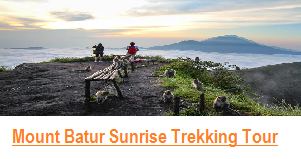 So Toyobungkah means water flowing from the rock crevices originating from the foot of Mount Batur. The area attractions Toyabungkah is professionally managed by Pekraman Batur village which later gave the name Batur Natural Hot Spring. In this place, tourists can feel the sensation of a shower of hot water with temperature 38-39 degrees Celsius. In addition to refresh the body and mind, a hot shower at this place is also believed efficacious for the treatment of diseases, particularly skin diseases. The view of Lake Batur lay in front of the pool. 08.00 The trek finish then we continue to Nature Hot spring that located only 10 minutes from where the trek finish, you can enjoyed your day as long as you want at the Hot Spring. 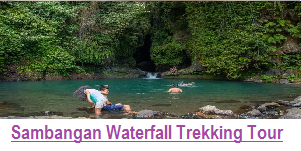 UBUD USD$65/person ( Minimum 2 Persons ) Private air conditioner car, Private Guide, Trekking Breakfast Arrangement, All trek equipment, Mineral Water, Coffee or Tea at top of the Mountain, Donation to the Village of Kintamani, and Hot Spring ( Towel, and Welcome Drink). 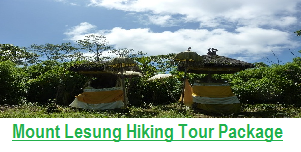 SEMINYAK, KUTA, CANGGU, KROBOKAN, LEGIAN, SANUR USD$68/Person ( Minimum 2 persons ) Private air conditioner car, Private Guide, Trekking Breakfast Arrangement, All trek equipment, Mineral Water, Coffee or Tea at top of the Mountain, Donation to the Village of Kintamani, and Hot Spring ( Towel, and Welcome Drink). NUSA DUA, JIMBARAN, ULUWATU USD$72/person ( Minimum 2 persons ) Private air conditioner car, Private Guide, Trekking Breakfast Arrangement, All trek equipment, Mineral Water, Coffee or Tea at top of the Mountain, Donation to the Village of Kintamani, and Hot Spring ( Towel, and Welcome Drink). LOVINA , PEMUTERAN USD$73/person ( Minimum 2 persons ) Private air conditioner car, Private Guide, Trekking Breakfast Arrangement, All trek equipment, Mineral Water, Coffee or Tea at top of the Mountain, Donation to the Village of Kintamani, and Hot Spring ( Towel, and Welcome Drink). 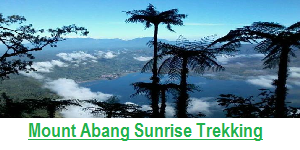 AMED, SIDEMEN, USD$75/person ( Minimum 2 persons Private air conditioner car, Private Guide, Trekking Breakfast Arrangement, All trek equipment, Mineral Water, Coffee or Tea at top of the Mountain, Donation to the Village of Kintamani, and Hot Spring ( Towel, and Welcome Drink). 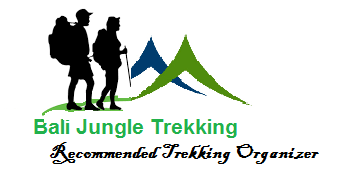 2- We are very flexible – if you would like to make a stop at some interesting places after the trek, we will happy to arrange it for you without any additional charge for transportation as long it’s still on same direction to your hotel. 4- Not all Agent provide tea or coffee at the top of the mountain, because the price of Coffee or tea at the top of the mountain is bit expensive. But we already make it included in the price. 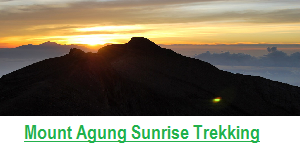 – drinking coffee or tea at the of the mountain while waiting sunrise is one of the best moment during the trek. 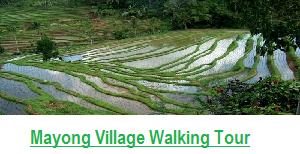 Note : After finish from Hot Spring if you would like to Visit more interesting places such as Coffee Plantation, and Rice terrace will happy to take you there without any additional charge for the Transportation. Please do not hesitate to contact us any time for any assistant.